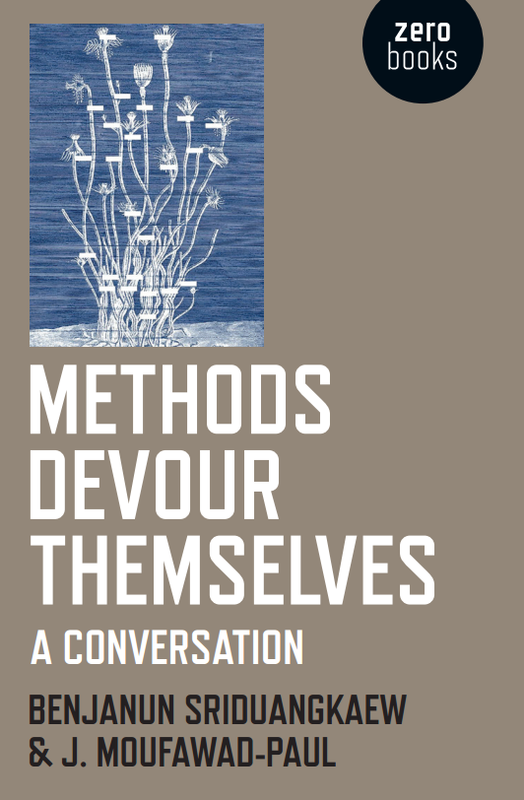 Methods Devour Themselves is a dialogue between fiction and non-fiction. Inspired by Quentin Meillassoux’s Science Fiction and Extro-Science Fiction that was paired with an Isaac Asimov short story, this book examines the ways in which stories can provoke philosophical interventions and philosophical essays can provoke stories. Alternating between Benjanun Sriduangkaew’s fiction and J. Moufawad-Paul’s non-fiction, Methods Devour Themselves is an interstitial project that brings fiction and essay into a unique, avant-garde whole. Out 2018 from Zero Books. Purchase from Amazon, Barnes and Noble, or Indiebound. Also available through Kobo.